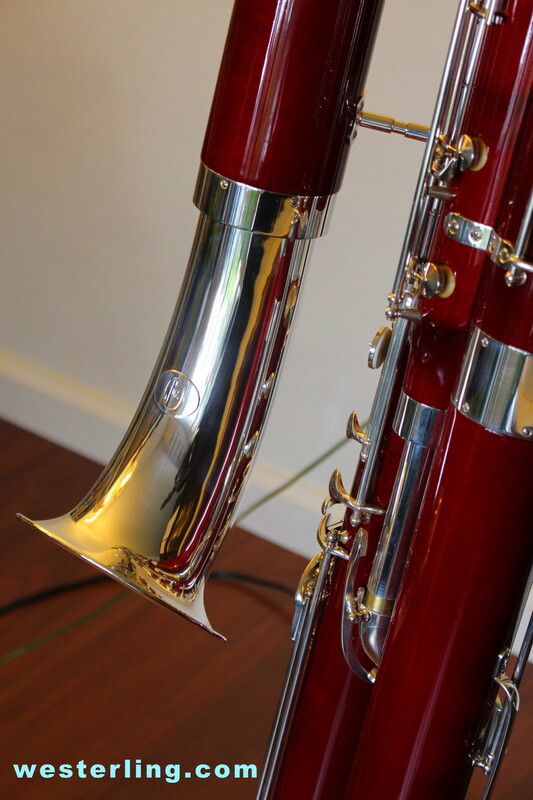 News flash: You heard it here first – Fox is coming out with a new contrabassoon model and Chip Owen, the head of contras at their South Whitley, Indiana headquarters has said its OK for me to share it with you! The reason I’m the one to do it, is that I have just received the first Fox Model 920 contra in the world. Backstory: When I decided to purchase a Fox contra, I went to the factory and met Chip to talk about the options available. 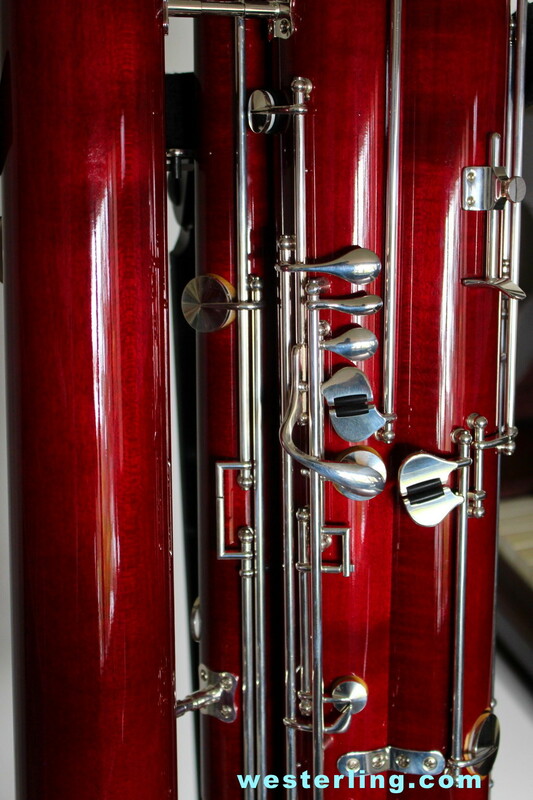 One of the things I noticed in the factory was the gorgeous “Bordeaux” color of the Model 685 bassoon. I asked Chip if he could make my new instrument with that same deep red finish, and thankfully he said “sure”! I chose standard (non-Fast system) keywork, but with the “divorced low-e” option and a few other bells and whistles.